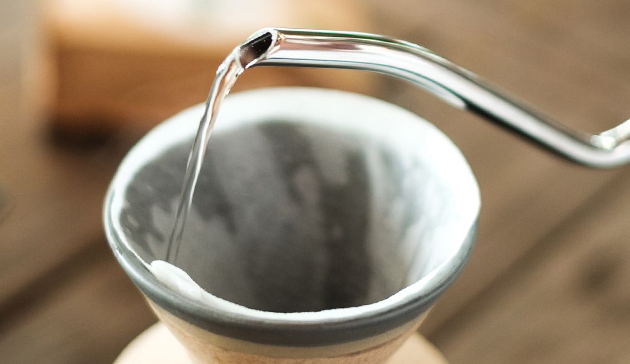 Whether you’re a home brewer or a coffee drinker at a cafe, the pour over method is definitely for those with time on their hands. 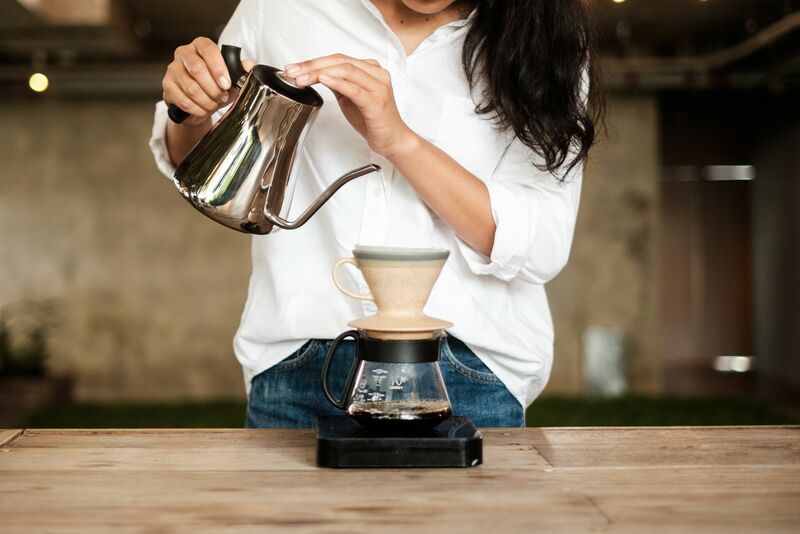 We like to use the V60 for its precise angle of the dripper, which allows for a better and cleaner extraction of flavors from the coffee. 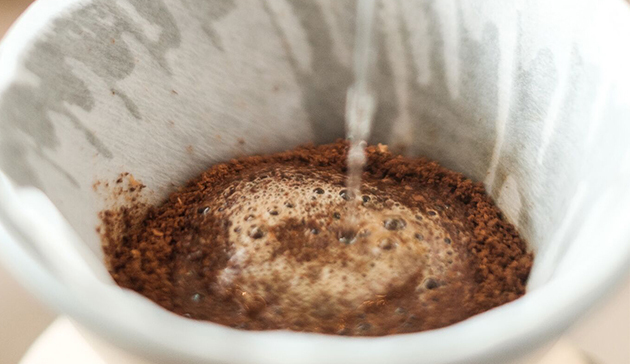 Our barista Donut loves the pour over method; she says that this method allows all the flavors of the coffee to shine through clearly with a nice, clean finish. She also enjoys the pouring step of the process as it gives her a moment of peace and calm. Now, don’t we all need that in our life! 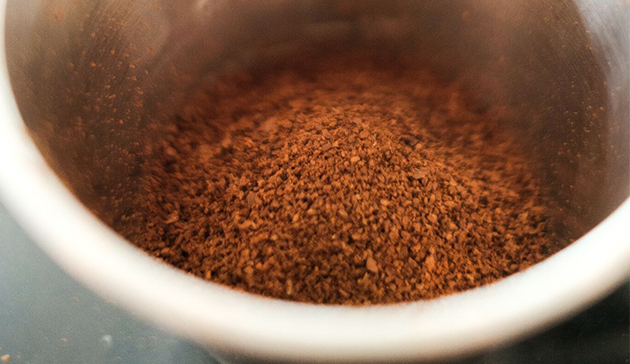 Grind 20g of coffee beans to a coarseness resembling table sugar. Place a filter in the dripper and rinse the filter with hot water. Pour the ground coffee into the filter and pour water slowly over the ground coffee until it is wet and wait for 30 seconds. Pour the water slowly over the ground coffee again until the coffee comes to a total of 260ml. Remove the dripper, serve and enjoy! 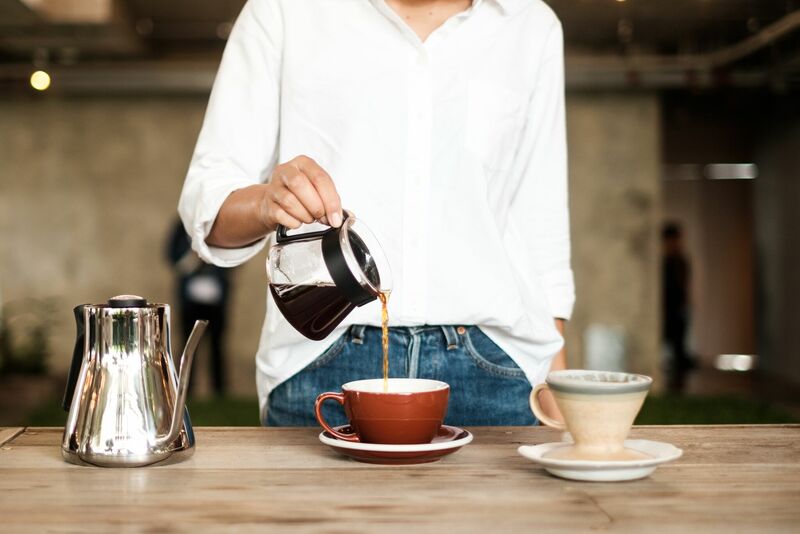 Select coffee that has been lightly-roasted for this method so you can fully extract all the intricate flavors and complex profile of the beans. 1. If the coffee is too bitter, it could be that the grinding size is too fine. You can also try to be more gentle when pouring in the water, try not to disturb the coffee as much as you can. 2. If the coffee tastes too watery, check the grindsize as it may be too coarse. Or check how fast you poured in the water, it should not be faster than 1:45 mins. 3. If the coffee does not bloom during the pre-infusion (blooming), that means the coffee is to old. Buy a new lot of coffee (preferably from us, ha!) and use less brewing water.